Performance comparison of different components: TxxTable, TxxDataset, TxxQuery etc. SQLs with or without parameters? Advantages and disadvantages! What does the new multiprocessing capability in Firebird 3.0 really achieve? What needs to be considered when migrating to Firebird 3.0? 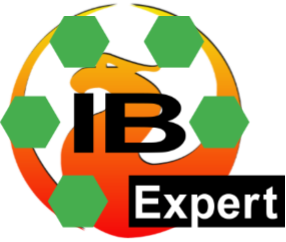 Dates: If you are interested in a 3-day English-language Firebird Developer Days, please mail us at sales@ibexpert.biz. Please refer to our IBExpert Contract Terms for the Provision of Consultancy and other Professional Services (General Terms and Conditions Services) and Terms and conditions. Course information and directions (PDF Download)?. Accommodation: There are a number hotels in the immediate area, please book yourself! Evening program: On Monday and Tuesday evening we will propose a restaurant where all participants can meet if they wish. However the costs are to be borne by the participants themselves. All fees are subject to the VAT/sales tax applicable in the country where it is taking place. This also applies to international participants. The participation fee is payable immediately upon receipt of invoice. Participation is possible only if payment has been received in full before the workshop begins. Workshop participation can be canceled up until 25.04.2016. The fees apply to bookings mailed to sales@ibexpert.biz and immediate payment by bank transfer or using PayPal or Visa/Mastercard. The prices in our online shop are quoted excluding VAT! The number of places is limited. Should you have any further questions please contact sales@ibexpert.biz or call +49 (0)4407 3148770.